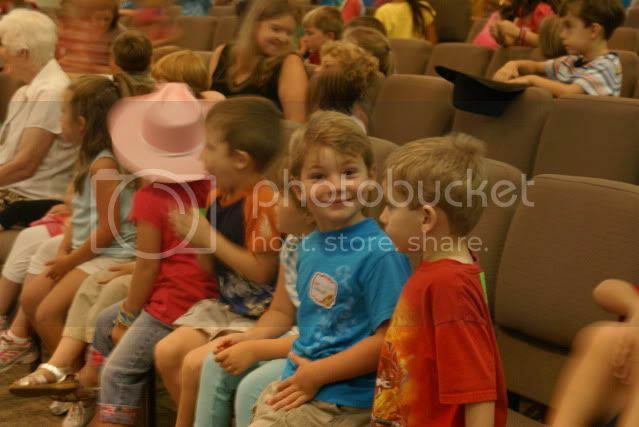 my boys are having a blast at VBS. 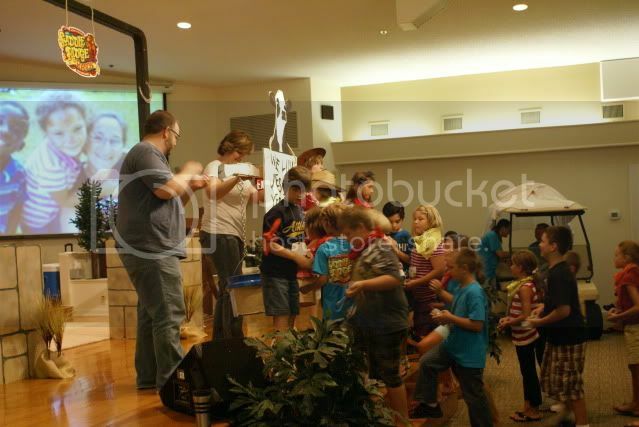 there were 275 kiddos there on sunday night. 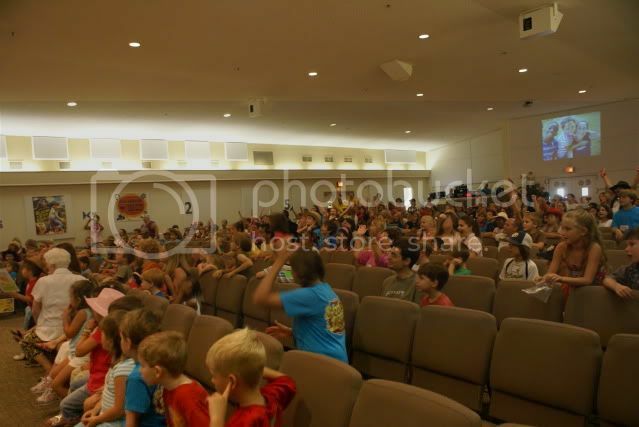 i took these photos in the worship rally. at the end of their singing time they take an offering for a specially chosen ministry. the boys and girls are asked to bring in pennies, nickels, dimes, and quarters all week. every night they not only turn their spare change in, they battle it out. if the girls win then the childrens director gets to ride the 'covered wagon' out. 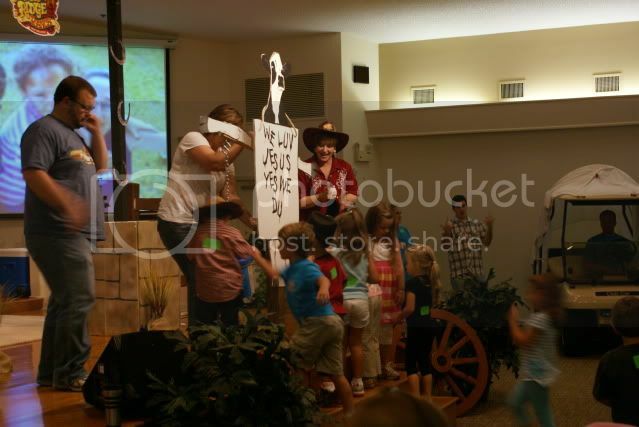 if the boys win the the worship leader gets to ride the 'covered wagon' out. 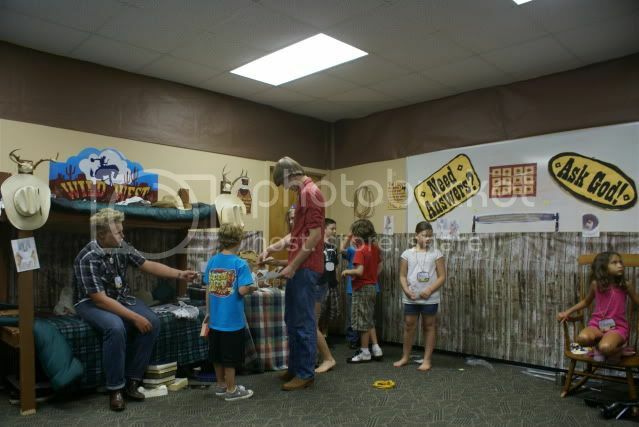 of course, the kids all get very excited and hoot and hollar through the whole ordeal. it is SO FUN to watch!!! 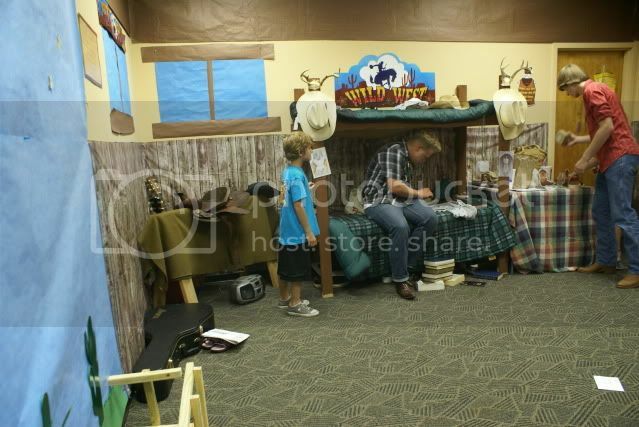 here's a peek at jake's classroom. he has three college age teachers. the are all so great! one of them, jack, built the bunkbeds that are used as a prop in the classroom. jake thinks they are SO COOL. thank you jessica, jack, and zak for making this week special for jake. How fun! We use to have the same kind of scales at my VBS when I was a kid. I'm so glad you blog!